The UK is brimming with unique gastronomic opportunities; local foodie Charlotte Stamper dishes on five not-to be-missed culinary experiences. 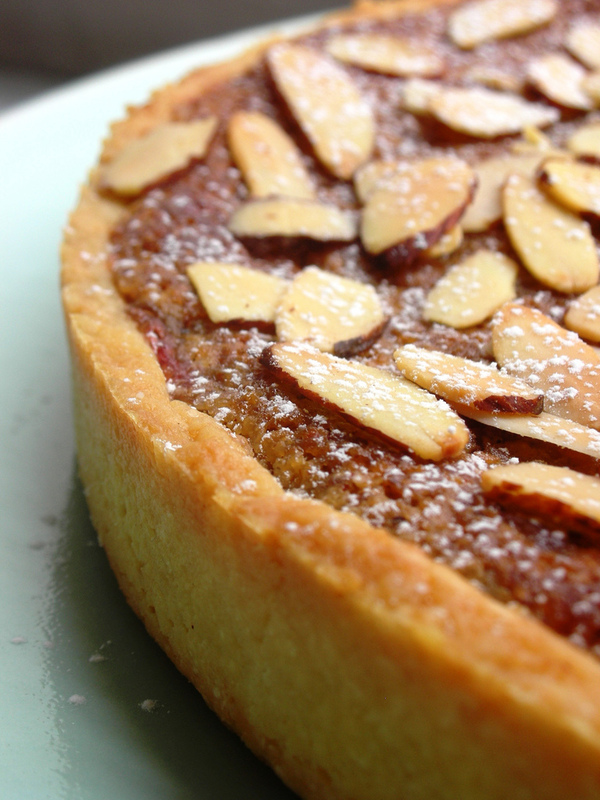 Traditionally from the Derbyshire town of Bakewell, this is a shortcrust pastry case filled with a layer of jam and a sponge filling with ground almonds. There are now many variations of the original tart including ones covered with a layer of icing a glace cherry. A stay in a Holiday Cottage in Derbyshire, is the perfect opportunity to take a trip to Bakewell and sample a Bakewell tart or pudding for yourself. There are three shops in Bakewell all offering pies made with the ‘original’ recipe, why not soak up the atmosphere and sample them all? The Cornish pasty is quite simply the best food on the go that there is. They are made by filling a semi circle of pastry with beef, potato, swede and onion keeping the pieces chunky, seasoned only with salt and pepper and crimped on one side. The pasties are then baked until they are golden and delicious. Originally they were designed to be to be the perfect transportable snack as the hot pasty would keep the worker warm in his pocket until lunch then could be eaten and the crust discarded where the workers dirty hands had held the pasty. Nowadays this traditional pasty makes the perfect meal whilst traveling all held together in the pastry case. It may not be the healthiest meal in the world but when you are out in the Cornish fresh air it is the perfect treat to fill you up and warm you from the inside out on a cold day. 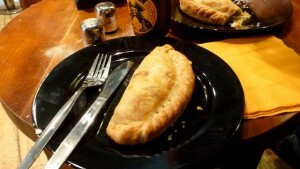 Although shops across the UK now sell many different variations of pasty including stilton, cheese and even chicken tikka, in 2011 the Cornish pasty was granted Protected Geographical Indication status meaning that the name “Cornish Pasty” can only be used if the pasty has been made in Cornwall following the time-honoured traditional recipe. Pease pudding has been a firm family favourite in the north east of England for generations. Sometimes known as pease pottage or pease porridge, it is made of split yellow peas, water, salt, and spices, cooked together with a bacon or ham joint. It has a mild taste and is usually enjoyed with ham or bacon and a stottie, a flat bread also popular in the north east of England. Made famous by the British nursery rhyme ‘Pease pudding hot, pease pudding cold, pease pudding in the pot nine days old…’ it is not to be missed on a trip to Newcastle. It may not sound appealing at all but this customary Scottish dish is a true favourite. Made from sheep offal minced with onion, oatmeal, suet, spices, salt and stock, and in times gone by, encased in an animal’s stomach it is now set in a sausage skin rather than an actual stomach. It sounds revolting but it’s actually really is tasty! It is the staple dish of Burns night, celebrated in Scotland every January, commemorating the life and work of Scottish poet Robert Burns. Haggis is conventionally served with “neeps and tatties” (mashed turnip and potatoes) and a dram (glass of Scotch whiskey). In Scotland today there are many newer manifestations of this traditional meal, like haggis served deep fried in batter with chips, and called a “haggis supper”. A trip to Scotland wouldn’t be complete without trying this delicious dish. Scouse is a classic dish that originates from Liverpool. Named after the local Liverpool accent, it is quite simply a tasty lamb or beef stew, originally a working class meal made with cheap cuts of meat cooked slowly. It is still a popular dish in Liverpool today where it can easily be found on the menu often served with beetroot or red cabbage and white bread with butter on the side. 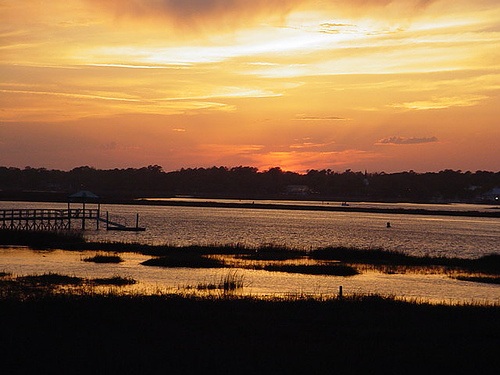 If all this has wet your appetite for a gastronomic tour of the UK then a self catering holiday cottage to rent could be just the thing for you! Visit http://www.sykescottages.co.uk/ for a great selection of cottages across the UK and Ireland. Ahhh the Cornish Pasty – Originally they were sweet at one end and savoury at the other – As a cornishman i can’t comment on the Tikka flavour ! I’ve never heard of scouse before, but it sounds delicious. And the Bakewell tart? Yum. I’ll have to branch out and try some of these next time I’m in the UK.